Almost every child that has grown up in Japan has seen a kendama, a wooden traditional Japanese toy consisting of a ken (sword) and tama (ball) connected by a length of string. The ken has three cups and a spike that fits into a hole that has been drilled through the center of the ball. Using their knees, kendama players bounce as they pull the ball upward so that it may either be caught in one of the cups or land on the spike. All in all, it used to be a very simple and straightforward game. 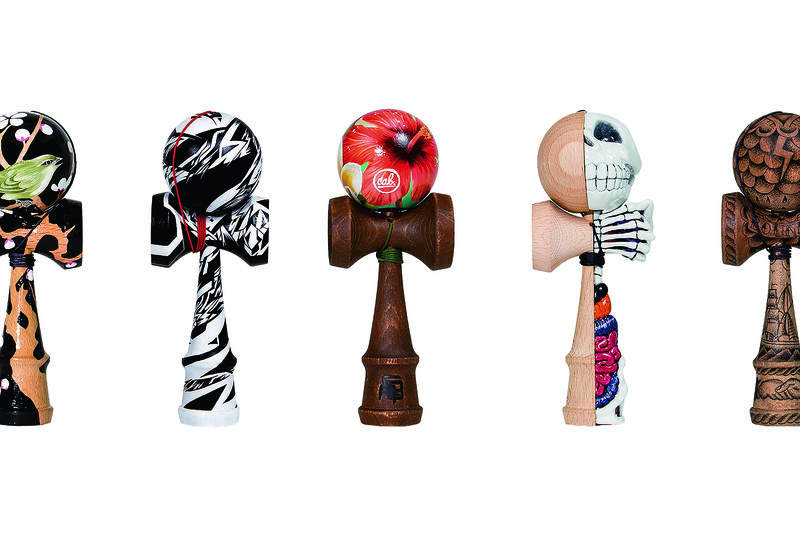 Kendama has grown in popularity overseas over the past decade or so, blending in naturally with the freestyle image of the skateboarding communities in urban centers in Europe and North America. More recently, the game has even been re-imported back to Japan in a form that is barely recognizable from its origins. People in the United States first started to see kendama a little differently around 2006. One of the first advocates is believed to be Colin Sander, a freelance filmmaker who stumbled across video footage of skiers in Hokkaido playing kendama during a storm. Sander shot a few videos of himself playing kendama and posted them on Youtube. It didn’t take long for word to spread. Kendama USA was registered as a business in 2008, and it soon became the leading kendama manufacturer in North America. Other manufacturers have since emerged, including Sweets Kendamas and Kendama Co. in the United States, Copenhagen-based Krom Kendama and Amsterdam-based Sunrise Kendama. These companies often employ professional kendama players as consultants to help promote their products. Sander, for example, works closely with Kendama USA in this capacity. Toys similar to kendama can be found all over the world, but the game is believed to have developed from France’s bilboquet. According to the Japan Kendama Association, bilboquet can be traced back to the 16th century and was even played by King Henry III. 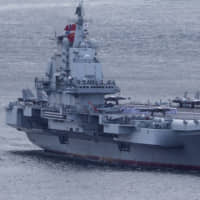 The toy made its way to Nagasaki around the late 18th century, as that was the only port open to foreign trade at the time. Japan Kendama Association Chairman Yoshiki Matsunaga says kendama used to be played at drinking sessions by adults before ultimately being used as an educational toy by the end of the 19th century. Hiroshima’s Hamaji Egusa registered a patent for the contemporary-shaped kendama in 1919, which he called nichigetsu ball (sun moon ball). Kendama in Japan has always been used in a fairly sedate environment. Matsunaga, 62, attended a vibrant freestyle kendama competition in Tokyo’s Shinjuku district in September called Catch & Flow. The atmosphere was electric, with booming music providing a noisy backdrop for the fanciful moves on stage. 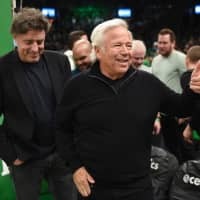 The association also promotes the use of kendama as educational toys for infants and children, as well as tools for the elderly at nursing homes. Members organize classes all over the country and visit universities to teach college students who are studying in such disciplines as social welfare or child care. For more than 25 years, Matsunaga has been holding a Saturday kendama class in Hino, Tokyo. Held at a public facility, about 20 students, from elementary school age to retired people, gather to master the various kendama techniques. Each kendama class begins with a bow and silence prevails when the students are performing and perfecting their moves. “Kendama is something that can be enjoyed by everyone, from children to old people, and we really value that inter-generational exchange. This dojo is something that I would really like to continue because there are so few opportunities like this nowadays,” Matsunaga said. 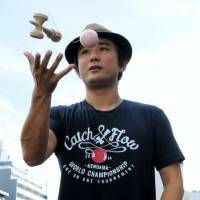 Matsunaga, a kendama player for more than 30 years, says the association has also been active in spreading kendama abroad, holding ranking tests in Hawaii and other places. These days, kendama has made inroads into the domestic fashion industry, too. 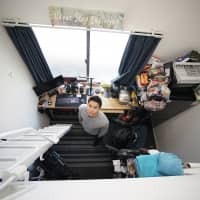 Nobuaki Komoto, owner of Decade, an apparel shop for skateboarders and BMX riders in Tokyo’s trendy Harajuku district, started selling domestic and foreign kendama two years ago. 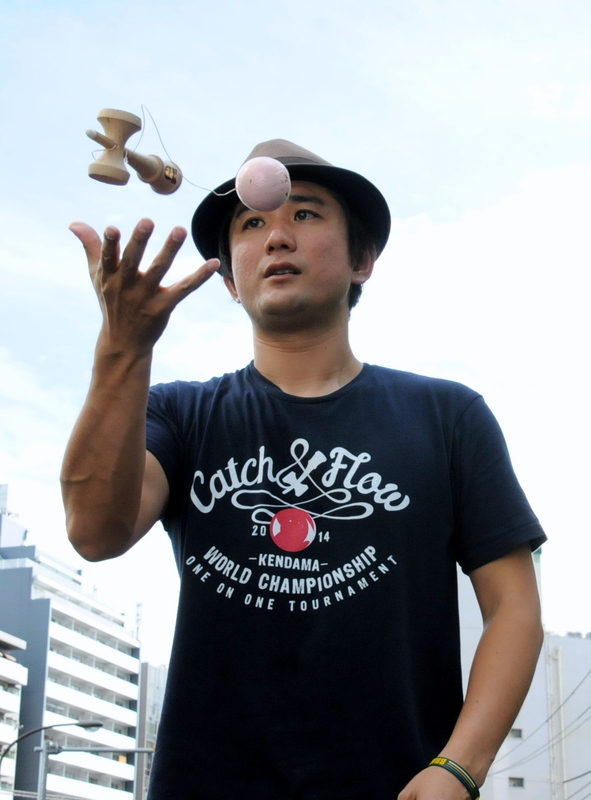 “In many ways, Kendama is like BMX: the way in which you put all the moves together, the feeling of accomplishment you feel when you’re able to finish off a move with a bang or the simple pleasure you experience competing against your friends,” says Komoto, who organized Catch & Flow in September. Rows of colorful kendama sit on display at Decade. Some of these were made by domestic companies, but many were actually imported from Europe and the United States. The basic design of the imported toys is the same as those made in Japan and officially approved by the Japan Kendama Association. 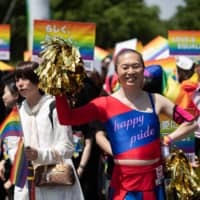 However, Komoto says the foreign brands sometimes use wood such as walnut and mahogany — instead of buna (Japanese beech) for the sword and wild cherry for the ball — while the colors, patterns and designs emblazoned on each toy are more varied. The toys have made their way into the art scene as well. An exhibition titled “Around the World — What the Dama?” features 75 domestic and foreign artists from a variety of backgrounds — illustrators, kimono designers and graffiti writers — who were all given the same kendama and were told to use it as they see fit. The project resulted in a dynamic selection of kendama that produced all sorts of shapes, colors and sizes. The exhibition was held at UltraSuperNew Gallery in Tokyo’s Harajuku district in September and is currently on display at Digmeout Art & Diner in Osaka until Nov. 15. Given the speed with which kendama is spreading worldwide, Global Kendamas Network’s Kubota feels this is the last chance for Japan to join the party if it wishes to avoid being left behind.